COLUMBIA, SC (WIS) - Just before Thanksgiving, there are few signs of construction work anywhere on the property now identified as Columbia Common. But just before Christmas Columbia Mayor Steve Benjamin said we will see the start of what could be rapid redevelopment. More than 40 retailers are now committed to opening new businesses on the former state hospital campus. "On a macro sense, it tells us that America's cities are back," Benjamin said. "That the vibrant dynamic cities that seem to create a great place to do business and seek to recruit and retain talent and capital are on the rise and Columbia is in the vanguard there." Groundbreaking on an apartment complex on the Calhoun Street side had been expected in August. 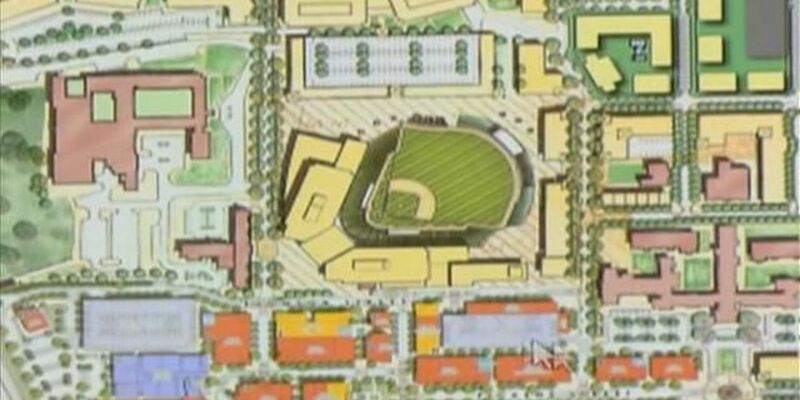 Work on the $35 million minor league baseball stadium and surrounding retail space are also expected within the next couple of months. "I'm excited about the project," Benjamin said. "You know this is a one of a kind project and I think that's important for people to realize. We've always predicted a 20 year build-out but at the end of the day you're talking about a project that's expected according to the Harry Miley study to produce over 11,000 jobs, a $1.2 billion economic impact, and 400,000 square feet of retail and bring professional baseball back to Columbia for the first time in over a decade. We want to make sure it's done and it's done right." Benjamin said he hopes a bipartisan team of lawmakers early next session can push through legislation to spark interest in redevelopment of the massive Babcock Building. A bill to do that, died earlier this year. The mayor along with lead developer Bob Hughes said the level of interest in Columbia Common is so strong, the project could be built out much sooner than 20 years from now. It's still not known which retailers will open at the development or when.